Isn't this wonderful?! 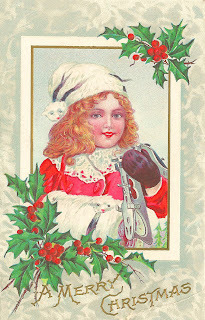 I love this beautiful vintage Christmas postcard featuring a pretty girl with ice skates. And, the holly leaves and berries framing the image are so charming too! 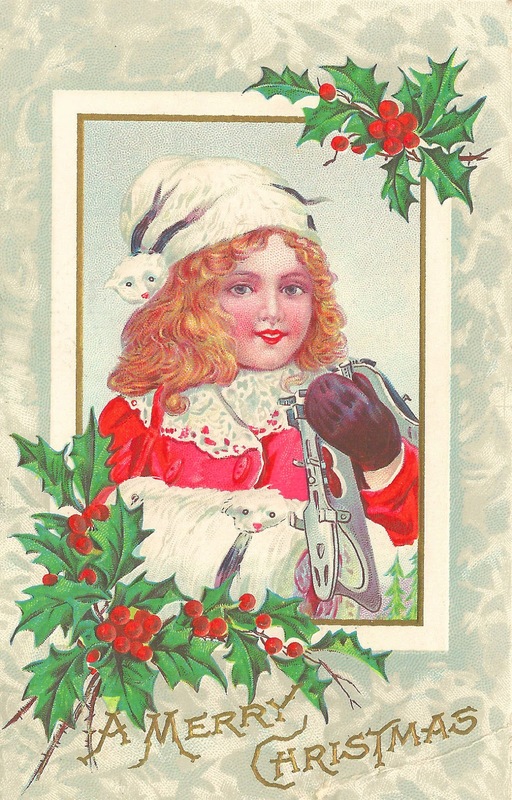 Do you notice the little polar bear heads on her hat and muff? How adorable! Enjoy!